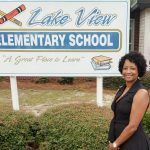 Shirbey Billups Johnson is the Lake View Elementary School Teacher of the Year. 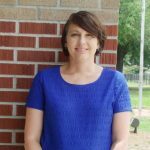 Brooke Wright is the Gordon Elementary School Teacher Of The Year. 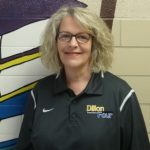 Dr. Wade Brown was recently selected as Teacher of the Year for Dillon School District Three for 2018-2019. 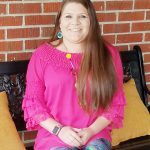 Congratulations to 4K Teacher, Mrs. Victoria Gray, South Elementary School’s Teacher of the Year. 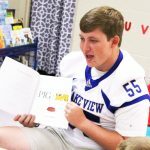 As part of this week’s Teen Read Celebration, several Lake View High School student athletes traveled to Lake View Elementary School to read to students and discuss the importance of literacy, education, teamwork, and character. 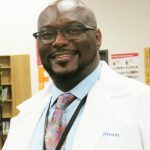 Mr. Maurice L. Robinson is the Dillon High School Teacher of the Year. 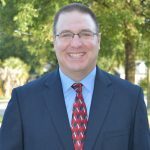 Thirty-eight South Carolina school districts will be awarded funding to hire new school resource officers as part of a two million dollar proviso passed by the General Assembly in this year’s budget. The Latta School Board of Trustees met for the regular monthly meeting on Tuesday, August 14, 2018 at 6:00 p.m. in the District Administrative Conference Room. Superintendent Dr. John Kirby provided the following update on the Latta Schools.